Incorporate storage and smart solutions to make up for the lack of square footage. Even the smallest room in the house can exude a spa-like serenity with these great decorating ideas. See more bathroom design ideas and a before-and-after bathroom makeover. A lean, graceful pedestal sink flanked by sconces makes a modest bathroom feel more expansive. A freestanding table functions as a highly edited medicine cabinet. Tucked beneath a basin, a pair of low stools stand at the ready (and serve as out-of-the-way storage spots in the meantime). 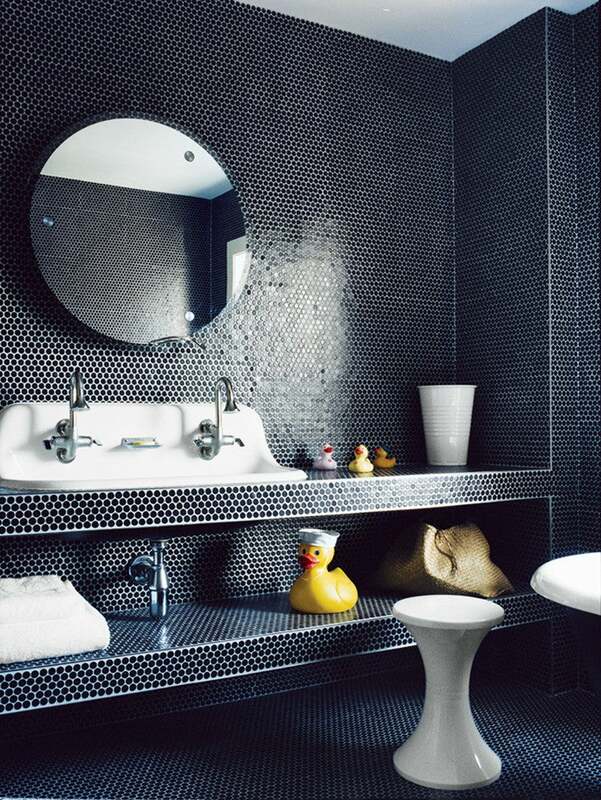 Pearlescent tiles and a decorative mirror bounce limited light around a room that often needs it. Store towels and toiletries neatly on elegant shelves (an especially useful strategy when there’s no spare closet). A hamper with handles stowed beneath an open sink goes directly from bathroom to laundry room.